Brendan Brazier, author of the international bestseller The Thrive Diet, changed the way millions of people eat. 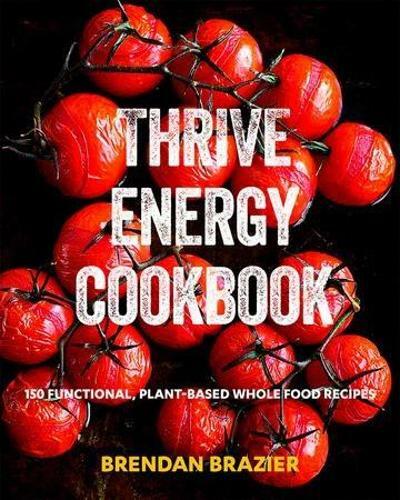 Packed with 150 plant-based, nutrient-dense, whole food recipes developed within the Thrive nutritional philosophy, the Thrive Energy Cookbook brings concepts that started the functional, plant-based nutrition revolution to life. Recipes are all allergen-free (or with gluten-free options) to eliminate wheat, yeast, gluten, soy, refined sugar, and dairy from your diet. Easy-to-make and performance-enhancing, these chef-created recipes merge purpose-driven functionality with mouth-watering appeal. From the alkaline-forming, plant protein-packed Vanilla-Almond-Mocha Motivator Smoothie, Roasted Red Pepper and Sweet Potato Soup, Thai Green Curry Bowl, and desserts such as Raspberry Chocolate Pomegranate Tart, the Thrive Energy Cookbook will have you quickly preparing nutrient-packed and delicious dishes.